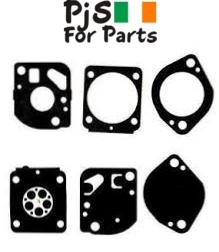 Fits Zama C1Q-S100, C1Q-S101, C1Q-S114, C1Q-S98, C1Q-S99 & C1Q-S114A Carburettors. OEM: GND-72 . Fits BR500, BR550 and BR600 blowers and FS130R trimmer.